To scholars in the field, the need for an upto-date overview of the art of South Asia has been apparent for decades. Although many regional and dynastic genres of Indic art are fairly well understood, the broad, overall representation of India's centuries of splendor has been lacking. 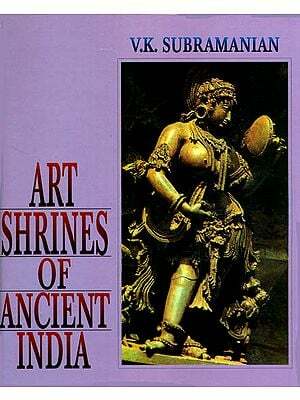 The Art of Ancient India is the result of the author's aim to provide such a synthesis. 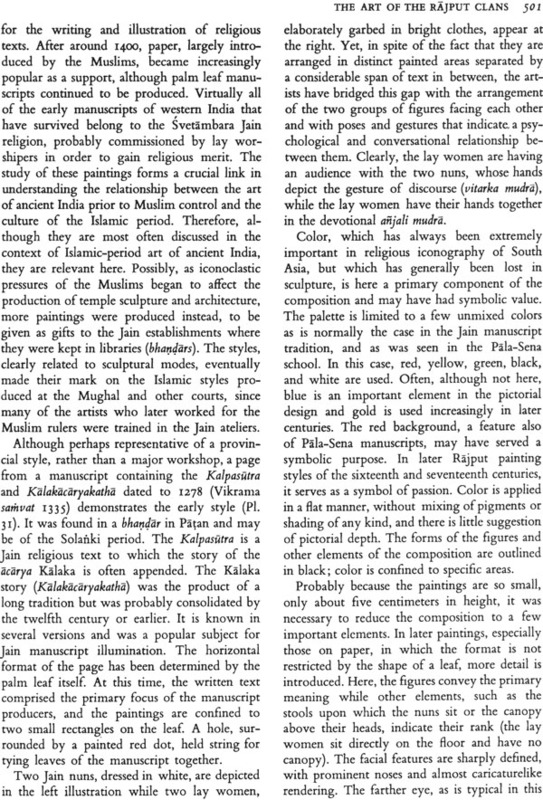 Noted expert Sherman E. Lee has commented: "Not since Coomaraswamy's History of Indian and Indonesian Art (1927) has there been a survey of such completeness." Indeed, this work restudies and reevaluates every frontier of ancient Indic art-from its prehistoric roots up to the period of Muslim. rule, from the Himalayan north to the tropical south, and from the earliest extant writing through the most modem scholarship on the subject. 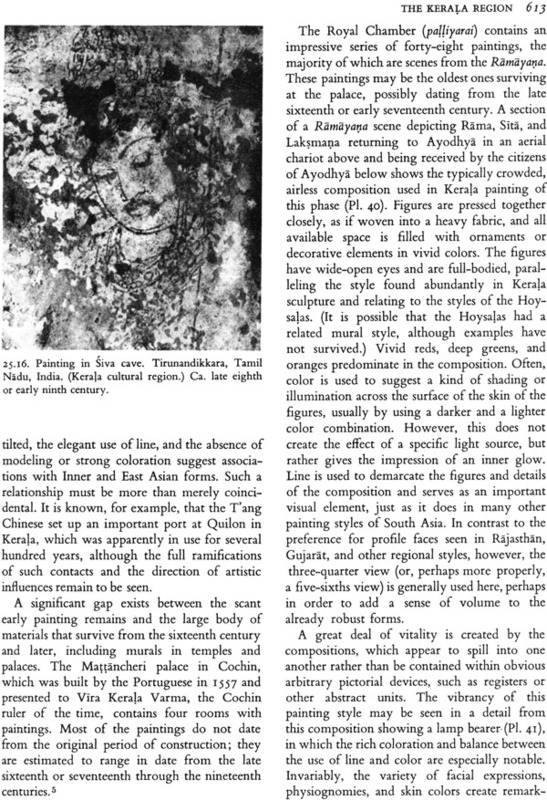 This dynamic survey-generously complemented with 775 illustrations, including 48 in full color and numerous architectural ground plans, and detailed maps and fine drawings, and further enhanced by its guide to Sanskrit, copious notes, extensive bibliography, and glossary of South Asian art terms-is the most comprehensive and most fully illustrated study of South Asian art available. The works and monuments included in the volume have been selected not only for their artistic merit but also in order to both provide general coverage and include transitional works that furnish the key to an all encompassing view of the art. 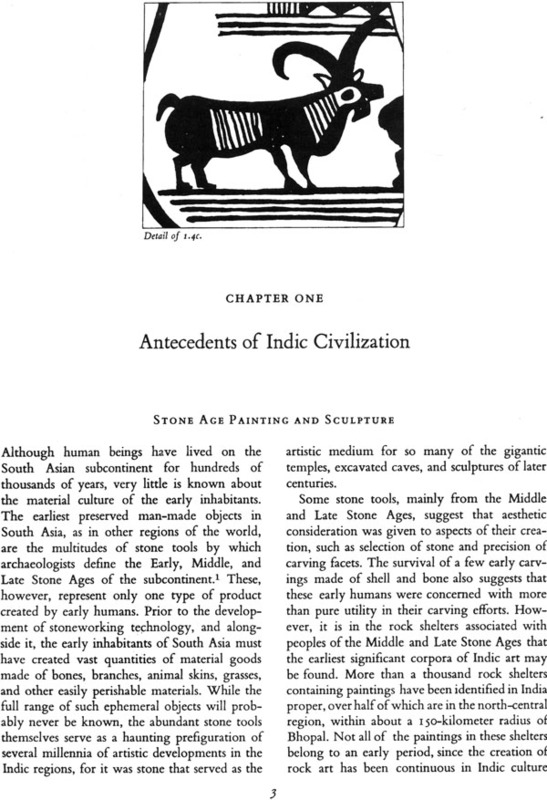 An outstanding portrayal of ancient India's highest intellectual and technical achievements, this volume is written for many audience: scholars, for whom it provides an up-to-date background against which to examine their own areas of study; teachers and students of college level, for whom it supplies a complete summary of and a resource for their own deeper investigations into Indic art; and curious readers, for whom it gives a broad-based introduction to this fascinating area of world art. Susan' L Huntington is distinguished Professor Emerita in the History of Art at The Ohio State University in Columbus, Ohio, U.S.A. A recipient of the John Simon Guggenheim Memorial Fellowship, she is also the author of The "Pala-Sena" Schools of Sculpture (Leiden, 1983). Her husband, John C. Huntington, is Professor of the History of Art at The Ohio State University and a recipient of that institution's Distinguished Research Award for his studies on Buddhist art. 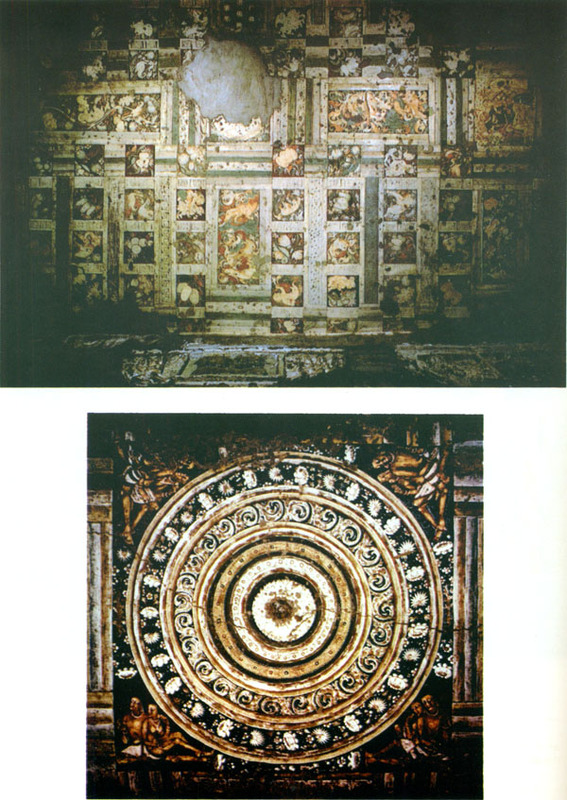 Highly respected in their fields, both Susan and John Huntington have published widely on various aspects of Asian Art. 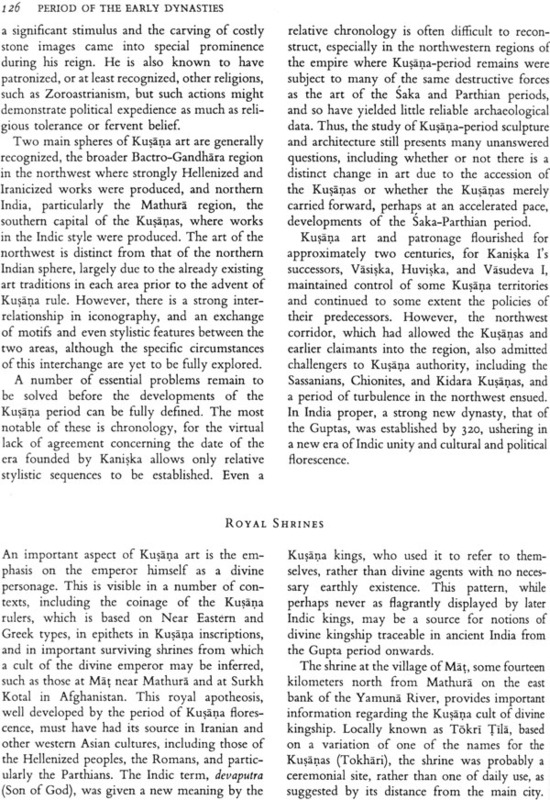 To scholars in the field, the need for an up-to-date overview of the art of South Asia has been apparent for decades. Although many regional and dynastic genres of Indic art are fairly well understood, the broad, synthetic overview has been lacking. This volume reflects our efforts to provide such a synthesis. It has necessitated restudying virtually every frontier of ancient Indic art, from its roots in prehistoric times up to the period of Muslim rule, from north to south, and from the writings of the earliest authors through the most modern scholarship on the subject. In many areas, the reader will find the results of our own research on various subjects as well as our suggestions for revisions of earlier thinking and directions for future study; we hope that these will excite and stimulate others to advance the frontiers of scholarship even further. The works and monuments that we have included in this volume have not always been selected solely for their artistic merit. An attempt has been made to provide general coverage and to include those "transitional," sometimes very fragmentary, works that provide the key to understanding the overview that we have attempted to provide. We charge the reader to go beyond the specific regional and geographical schools discussed and to keep in mind the synthesis of the whole that is simultaneously being developed. We have written for many audiences-for the scholar, for whom we hope to provide an up-to-date background against which his or her own specific areas of interest may be examined; for the teachers and students at the college level, for whom this volume might provide both an overview of a complex subject and a resource for their own deeper investigations into the subject; and for the general reader, for whom we hope to provide a broad-based introduction to what is for us one of the most fascinating areas of world art. This book is the result of the work and help of many individuals and institutions, to whom our debt is expressed in the acknowledgments. Regarding the division of labor of the text itself, John Huntington made contributions to the content of chapters 2 and 3, jointly authored chapter 7 and the note on the pronunciation and transliteration of Sanskrit, and was the principal author of chapters 8, 12, and 17. 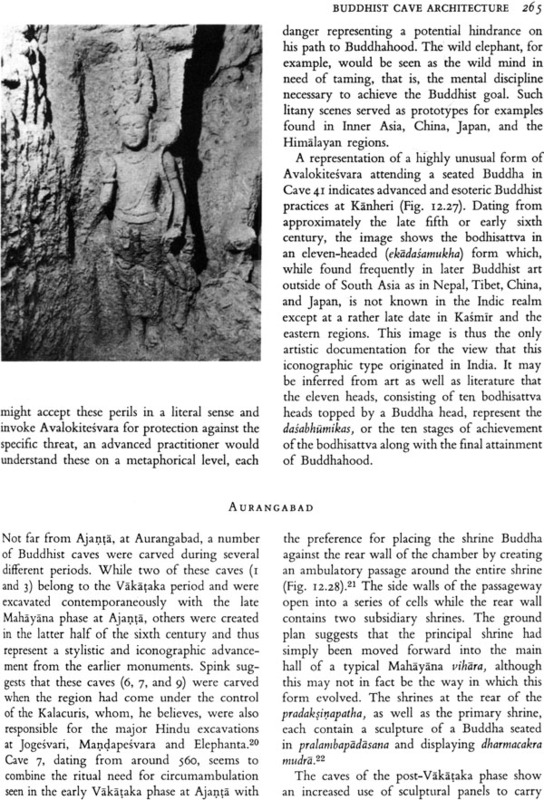 In addition, he contributed to the Buddhist information contained in chapters 18 and 19. The majority of photographs in this volume were taken and printed by John, and he also compiled the extensive information required for the maps, and drew them as well as the ground plans. For the most part, the ground plans were redrawn from published sources, although a number are original contributions. 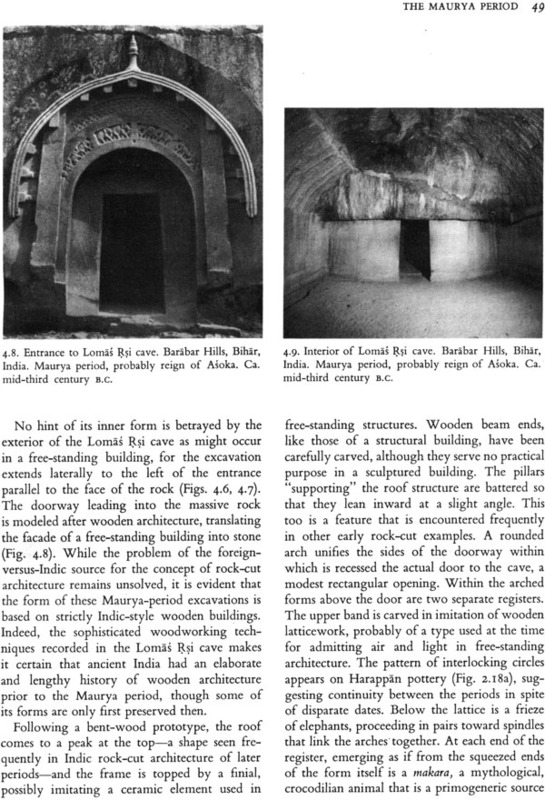 Sometimes, when variant plans had been published for the same monument, it was necessary to compile features of both, based on a study of photographs, measurements, and published reports about the structures. The maps include not only the major art sites of various regions and periods that are discussed in the text, but also many that are not. 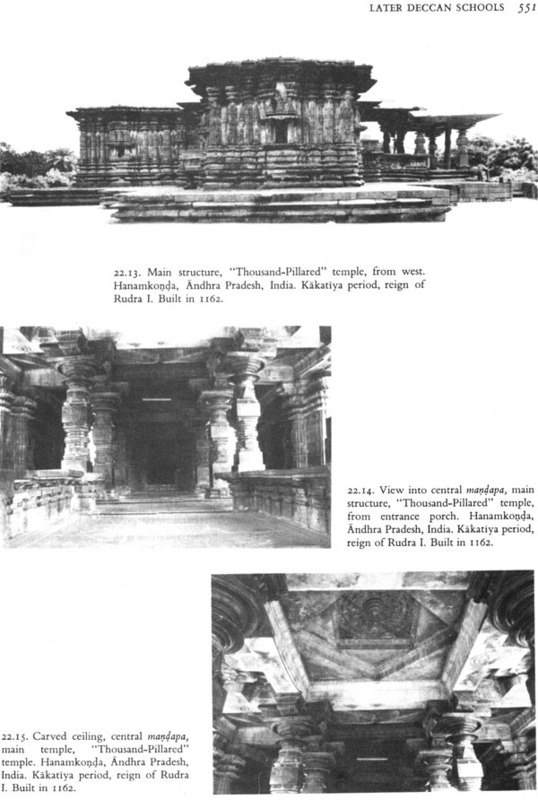 Sites not mentioned in the text were included in order to show the extensiveness of the artistic remains in any given phase of Indic art, as well as to provide some general notion about the geographic distribution of such sites. In this volume, a conscious attempt was made to minimize notes in order to make the book more readable and to reduce what would have been the inordinate length of the volume had notes been scrupulously included. In general, notes are provided when inscriptions are cited, when specific authors are referred to, and when we wished to clarify or expand some aspect of the text. For more thoroughgoing references to articles and books of interest to specific chapters, the reader is directed to the bibliography. 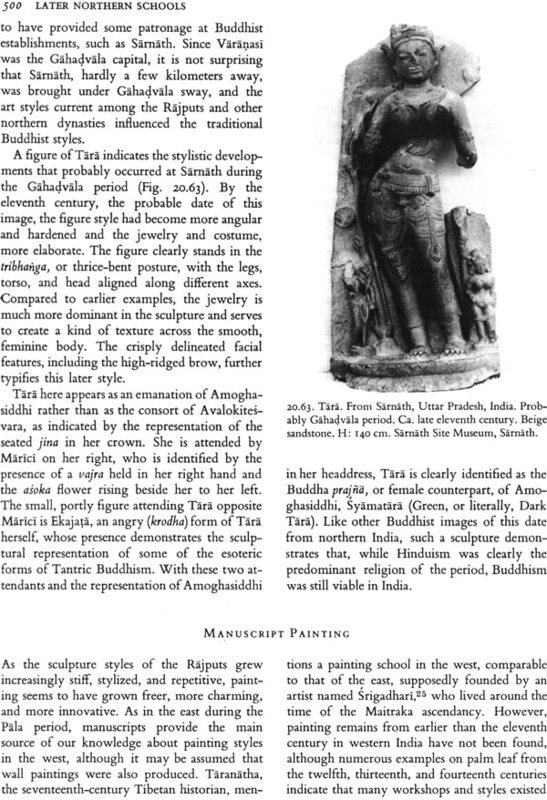 The bibliography is intended to refer to major works on various topics relating to South Asian art, including standard classics and the most current publications as well. Preference was given to works published in English, and to books rather than articles. The preference for books resulted from our belief that these are often more readily available, and also because books in turn often have bibliographies that can send the interested reader even further along the path of study in many subjects. And indeed, one of our goals in writing this book was to provide a stimulus for such exploration. Ironically, our success in this endeavor might be measured in terms of how quickly some of the ideas and conclusions reached here become antiquated. For millennia, the peoples of South Asia have produced works of art in seemingly endless quantity and of virtually infinite diversity. Such objects were frequently materializations of their creators' highest religious and philosophical ideals, yet they could be interpreted on many levels by individuals at various stages of their spiritual development. 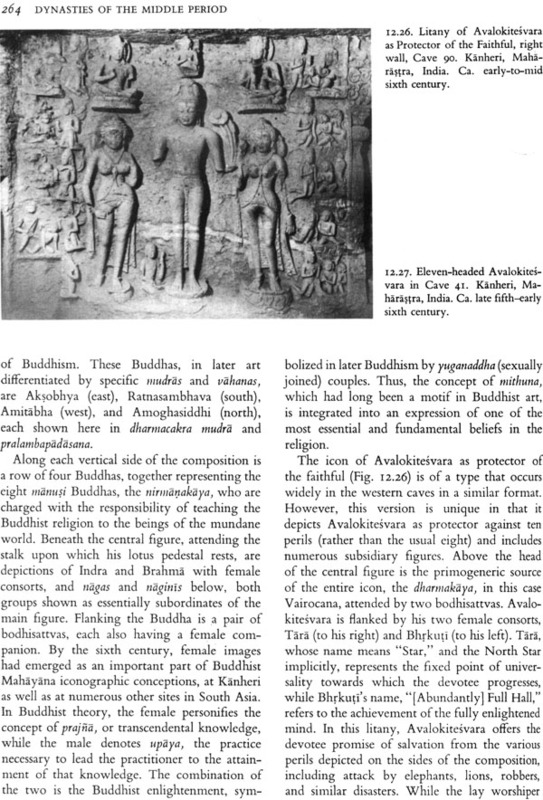 On one level, the art expresses concepts so abstract that the most complex philosophical language of the world, Sanskrit, had to be developed to give them full verbal expression; at another level, the art conveys the simplest devotionalism, indicative of the belief that an offering and pure faith could assure the material well-being of humankind. 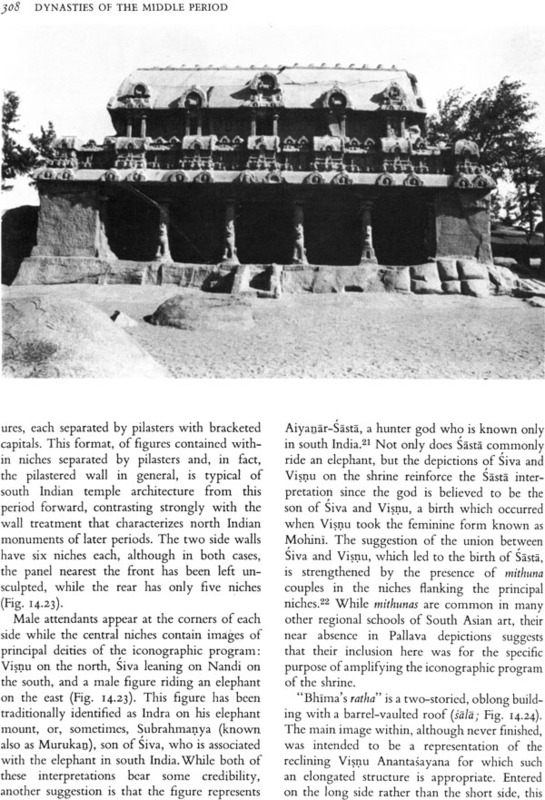 Through the creation of religious buildings and images showing beings who personified aspects of the universe and its irrevocable truths, the peoples of South Asia were able to interact daily with celestial beings as if they were near neighbors. 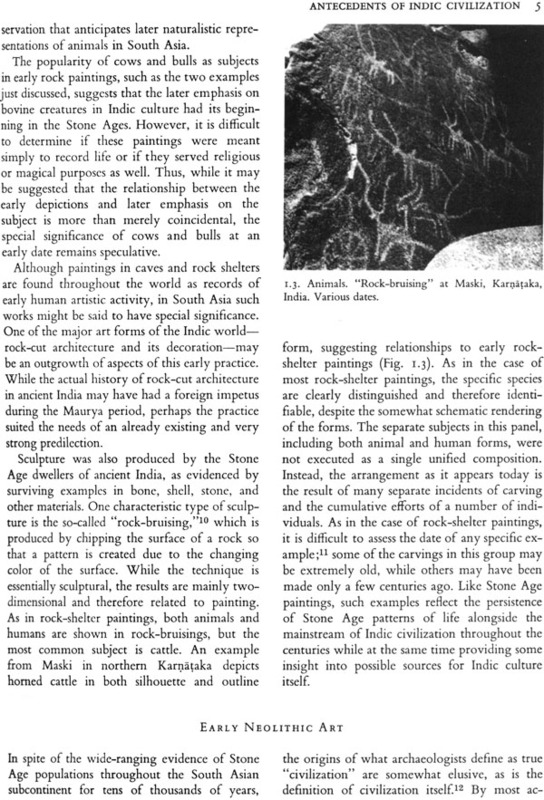 The art works, then, are not just aesthetic expressions or exercises in color or form but are visualizations of the transcendent, brought into the range of human understanding. By studying the art of South Asia, it is possible to gain insight into the philosophical and humanistic ideals that this great civilization has held for millennia and continues to hold to the present day. The South Asian subcontinent, roughly corresponding to the area occupied by the modern nations of India, Pakistan, and Bangladesh comprises what may be called "ancient India." Although the influence of the Indies culture extended far beyond these limits, outlying regions form the subject of what would have to be another, more extensive, survey. Within its boundaries developed one of the world's most ancient civilizations, which, unlike others of its day, still flourish. 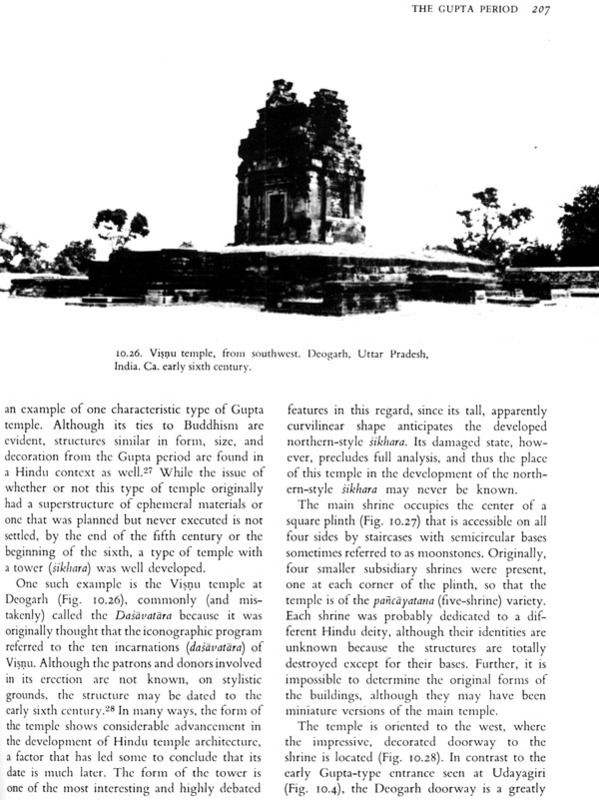 Although it was open to contact with other cultures, such as those of China, Western Asia, Inner (or Central) Asia, and Southeast Asia, the Indic civilization also had an insularity that nurtured the development of its unique features. This insularity was due in part to the region's natural barriers-the rugged mountains of the high Himalayas and other ranges in the north, and the Arabian Sea, Indian Ocean, and Bay of Bengal in the south. Nonetheless, the role of these features as "filters" of Indic culture should not be overestimated; mountain passes and sea routes easily linked the region to the world beyond throughout history. 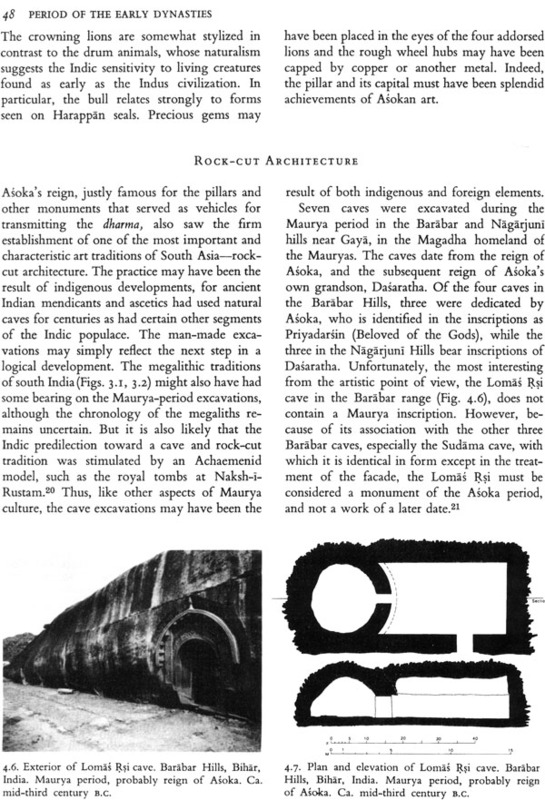 Therefore, the history of Jndic art is a continual dialectic of indigenous and imported elements. Although it was unified by broad cultural patterns, the South Asian region is by no means homogeneous. 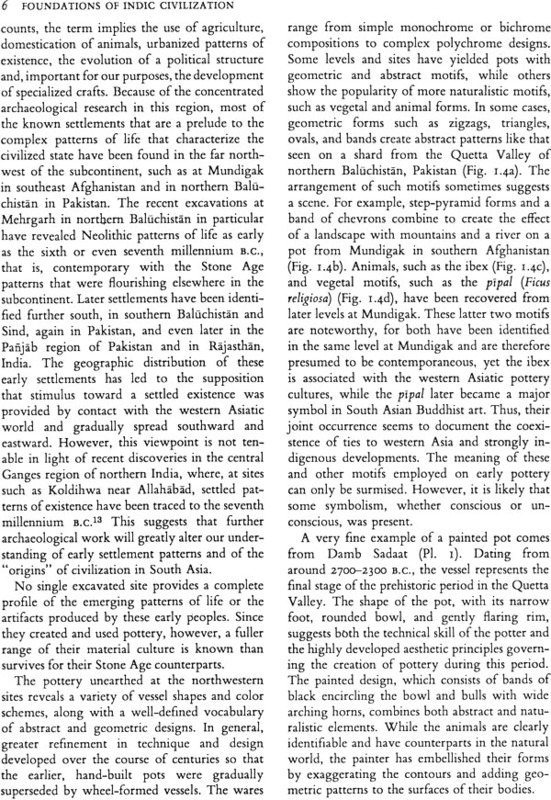 Archaeologists have noted that cultural patterns visible as early as prehistoric times and continuing to the modern period closely follow the natural geographic divisions of the subcontinent. These regions are broadly defined by mountain ranges and river systems and are characterized by a variety of climatic conditions. The resulting geographic units usually are defined as the northern, central, and southern regions. The northern region extends from the northwestern lands watered by the Indus River in Pakistan and across northern India to include the northeastern region of the subcontinent watered by the Ganges River in Bangladesh. The central region, commonly known generically as the Deccan, is in India alone and includes the hill and forest zones further south, extending into the peninsula and including the Deccan plateau. The southern region includes the southernmost regions of the nation of India, primarily the lower peninsular portion of the subcontinent. Each of these divisions is notable for its variety, both physical and cultural, yet each is unified by broad linguistic, racial, and cultural associations. While these lateral geographic zones broadly define cultural patterns within the subcontinent, they are not inviolable. For example, along the eastern and western coasts, associations exist that transcend arbitrary divisions between the northern, central, and southern regions. 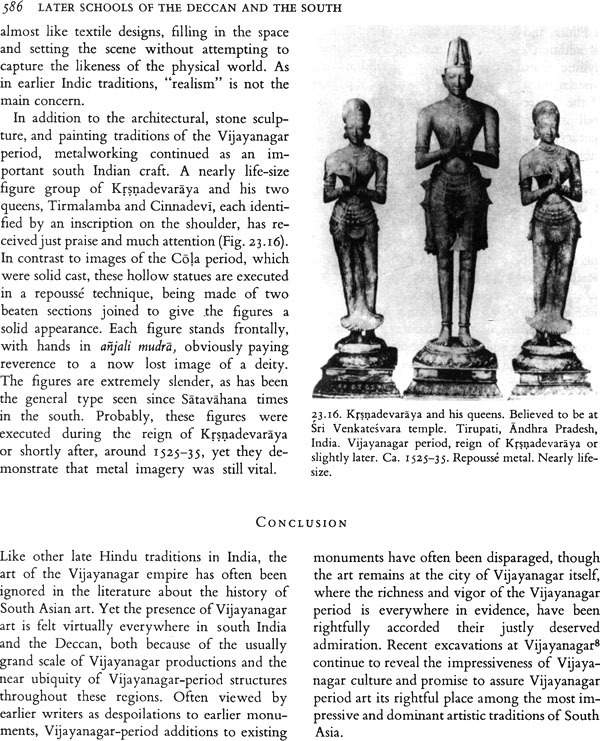 Thus, "eastern" and "western" traits may be observed in Indic culture in addition to those of the three lateral zones. The story of South Asian art, then, is one of regional or local developments set against the broader spectrum of the culture as a whole. Regional forms may share general features with contemporaneous developments elsewhere while bearing distinctive features that unmistakably link them to the site of their production. This is even true of what have been called "pan-Indic" phases, such as the Maurya and Gupta periods covered in chapters four and ten. 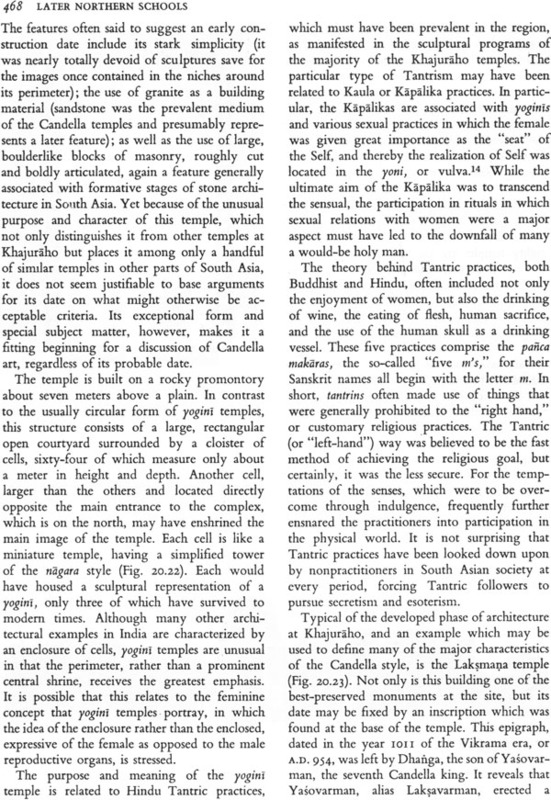 Although the Indic civilization has developed almost uninterruptedly from its inception to the present, it is difficult to reconstruct a detailed history and chronology of events in every period. This difficulty is due to several factors. Archaeological fieldwork at prehistoric and proto- historic sites has not yet revealed a complete picture of early patterns and developments. For historical times, there exists an abundance of documentation such as inscriptions, texts, and coins, but this evidence is frequently ambiguous, contradictory, or misleading. 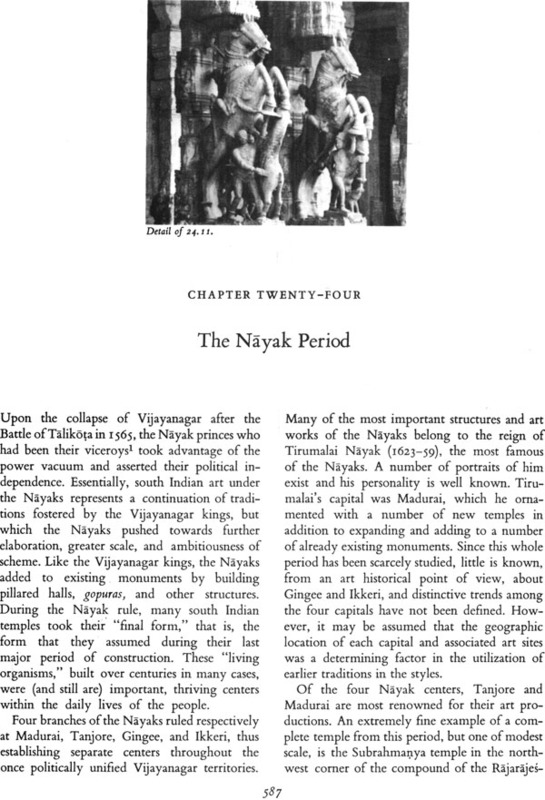 Further, many systems of calculating time were used throughout the subcontinent's history. Most of these dating systems were based on the accession of individual kings and thus applied to a limited region or time span. Many such eras have not been correlated to the Christian era. 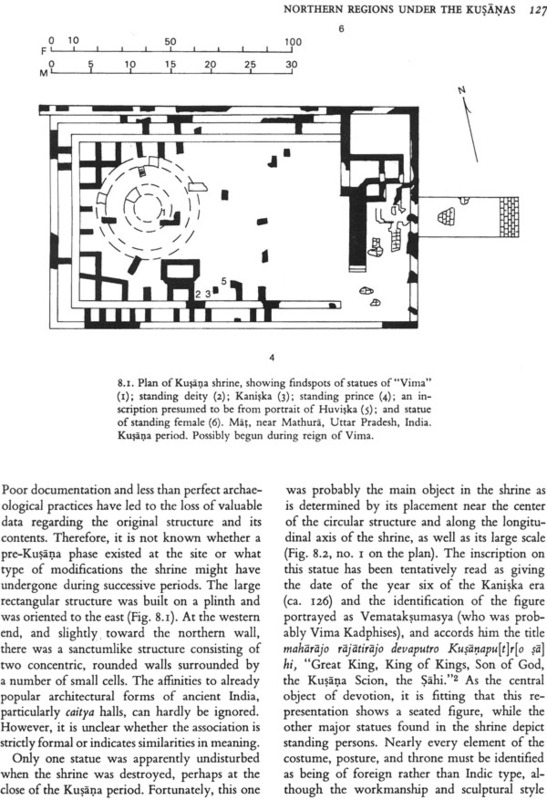 Thus, even when art works or written documents were given specific dates by their makers, the dates do not always inform us of the time of production in relation to our calendrical system. 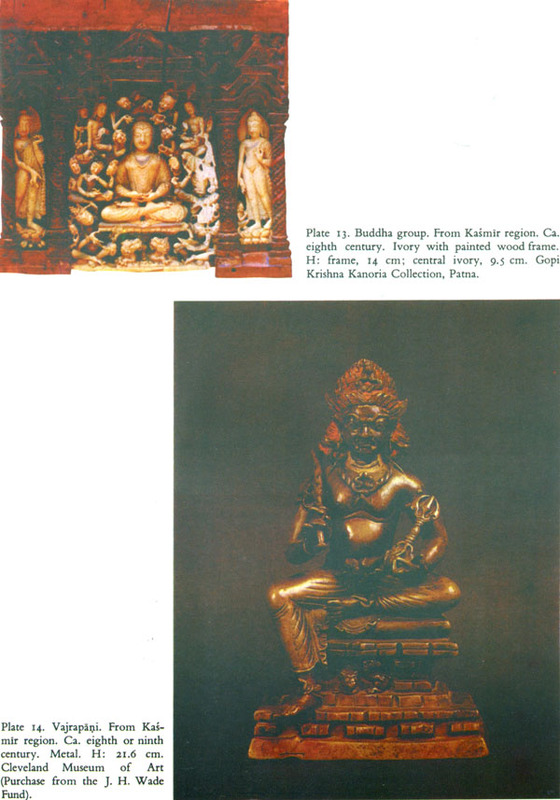 Because of the difficulties of reconstructing the chronology of Indic history and culture, it is not easy to find a format for the presentation of Indic art which provides clarity, coherency, and accuracy while reflecting the vast panoply of South Asian art. This volume uses a chronological approach whenever possible, interweaving regional, religious, and cultural trends. The chronological arrangement is expressed largely in terms of political dynasties, the most common scheme for the periodization of South Asian history. 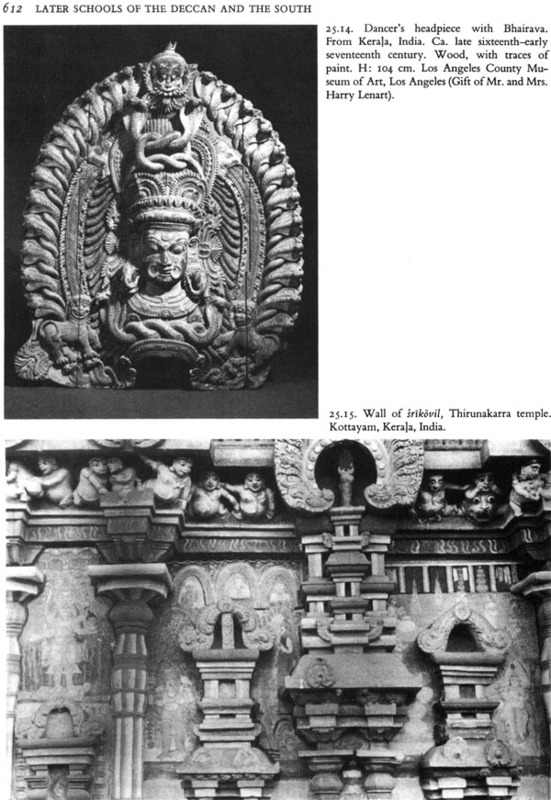 This scheme has inherent limitations, for it seems to imply that art styles rose and fell with the fortunes of specific ruling families or that the dynasty that lends its name to a phase of Indic art supported or encouraged its development. While these situations did occur, they are not to be inferred automatically from the political designations. Instead, the dynastic names used in this volume reflect the fact that beginning in the historic period, primarily with the Maurya dynasty, the South Asian region consisted of numerous interrelated but separate kingdoms. These kingdoms and their interraction left a legacy of complicated linguistic, racial, and cultural patterns that are in turn reflected in the important artistic schools of the South Asian subcontinent. 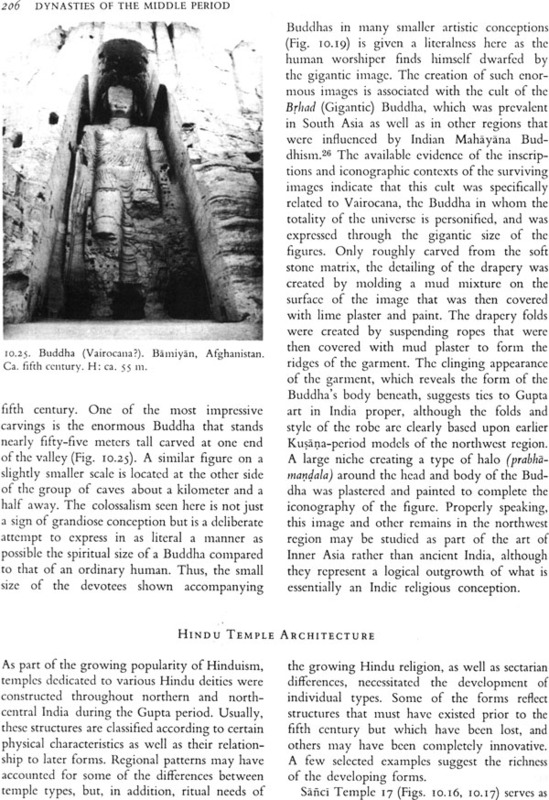 Religion was the major force stimulating the creation of art and architecture in ancient India. According to most systems of Indic thought, the phenomenal world is illusory, perceived and interpreted by the senses, which yield data of a personal rather than of a universal nature. The primary illusion is the belief in a separate, egoic existence. Most Indic religions seek to eliminate this illusion and to foster the realization of universal unity and of the understanding that each seemingly separate entity is but a manifestation of the One. Ultimate Truth is considered to be transcendent, intrinsically beyond our limited means of acquiring knowledge. How- ever, a number of symbolic devices (which indicate the Truth not by revealing it but by referring to it) may point toward the goal of realizing the undifferentiated state. Among these are mantras (verbal formulae or incantations), yantras (mechanical devices such as geometric diagrams), and murtis (images, icons, or sculptures). 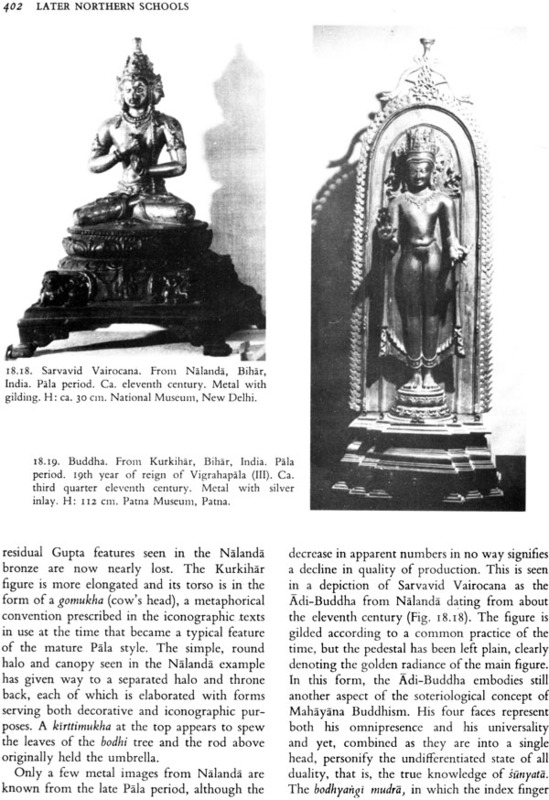 These latter two devices, yantras and murtis, comprise the main subject of this book. what we call the art of ancient India is, in fact, the reification of certain metaphysical concepts, the purpose of which is to enable the religious devotee to more easily internalize the ultimate Truth. 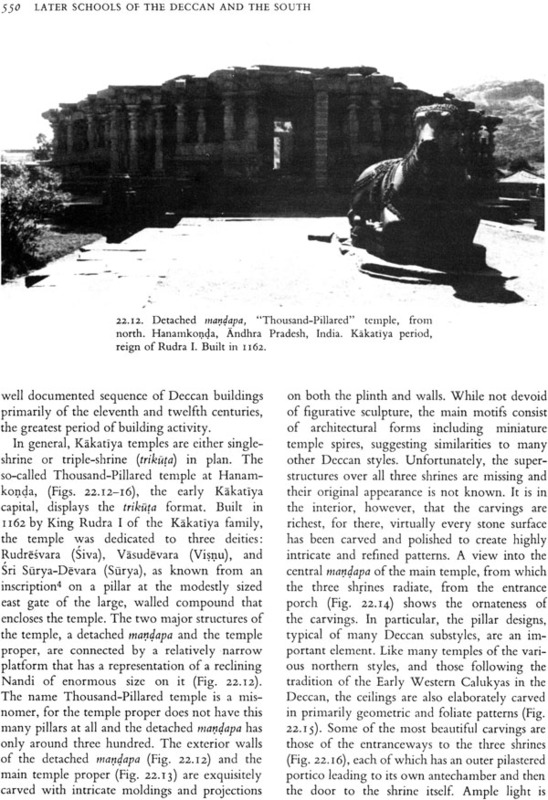 Many Indic plans of buildings and other architectural forms created for religious use are based upon yantras, which makes them materializations of complicated abstract ideas. 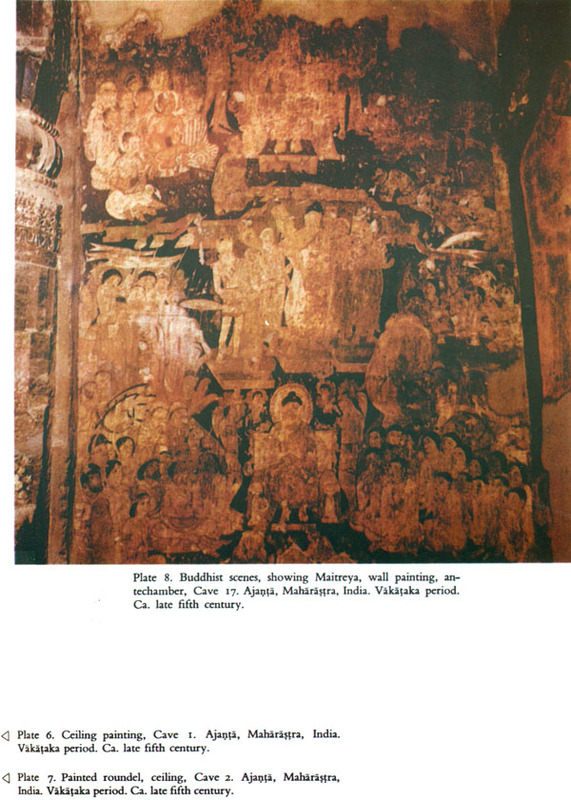 The images (murtis) which adorn such structures or occur in other religious contexts also express religious concepts. 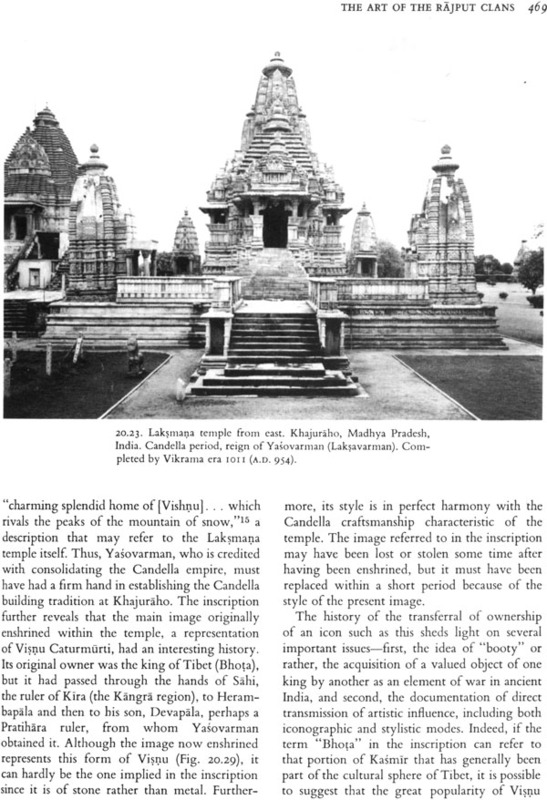 To those unfamiliar with the Indic world, it might be surprising to learn that the use of such images is thought to be least appropriate to the Truth itself since images have form and Truth is formless. Nonetheless, to the worshiper, an image is a useful tool that renders the abstract, transcendent realm more comprehensible and approachable. An image, then, is a kind of metaphor for something that can only be understood directly but cannot be truly translated into any form, be it visual, verbal, or other. In spite of the fact that an image is not the same as that which it represents, images are believed to embody tremendous religious energy. Through the process of viewing an image, the devotee gains spiritual power. 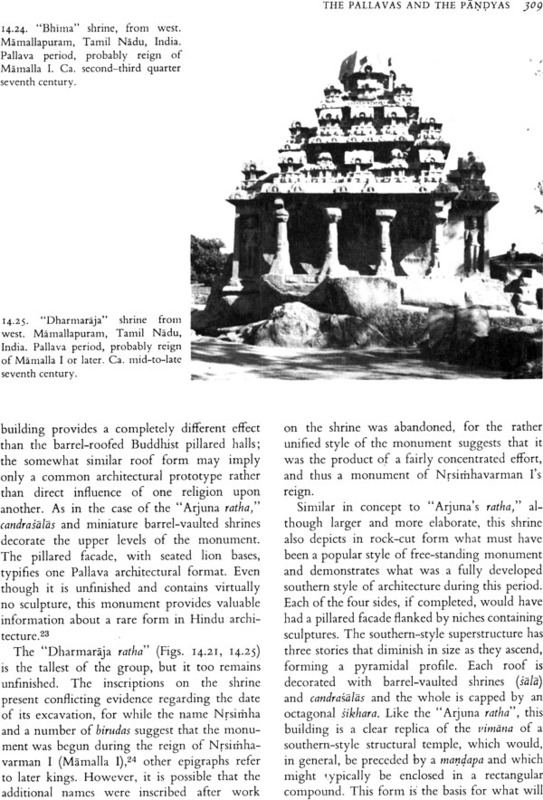 Indeed, the emphasis on darsana (viewing) in the Indic culture, which requires only seeing and being in the presence of something or someone great to gain merit, has lent the visual arts an importance never exceeded elsewhere in the world. In light of these religious views, it can be easily understood why the principal aim of Indic art has never been to capture the likeness of the physical world or its inhabitants. Systems of perspective, concern with detailed anatomical correctness, and use of naturalistic coloration, as well as other artistic devices that convey the appearance of the phenomenal world, are noticeably lacking in South Asian art. 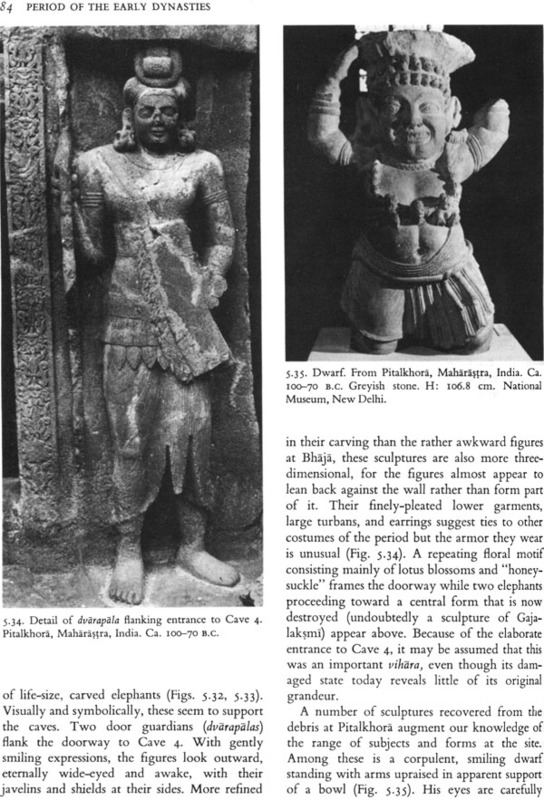 Individual portraiture aimed at physical likeness is rarely encountered in ancient Indian sculptures and painting. And subject matter does not generally aim to record the daily life or customs of the Indic peoples. Often, works of art specifically contradict the "facts" of the physical world. For example, figures are frequently shown in hierarchical scale, measured on the basis of their religious achievement, not their physical size. 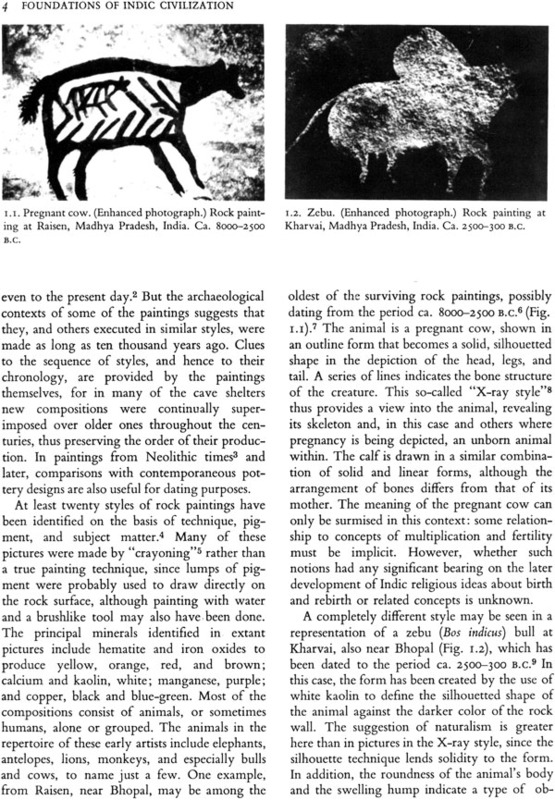 This lack of emphasis on naturalism does not indicate that the Indic artist did not possess skill, talent, or creativity. Rather, his immense ability was channeled into the expression of concepts beyond the limits of the phenomenal world. Such representations might incorporate the artist's individual beliefs or perceptions, but they were not meant to reflect his personality or to serve as monuments to his individuality. Few names of individual artists have survived to the present, but this is not particularly important in the lndic context, since works of art were meant to serve in the communication of universal religious ideals and not as vehicles of egoistic expression. Nonetheless, many artists, while working in what today can only be recognized as part of a "collective" rather than "individual" style, were great masters and innovators who deserve the same honor accorded to those whose names and artistic contributions are known elsewhere in the world.